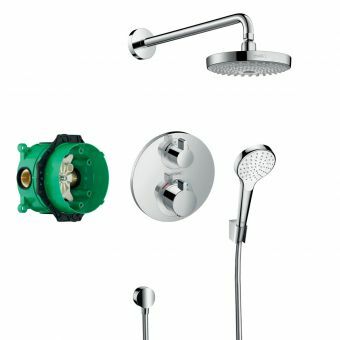 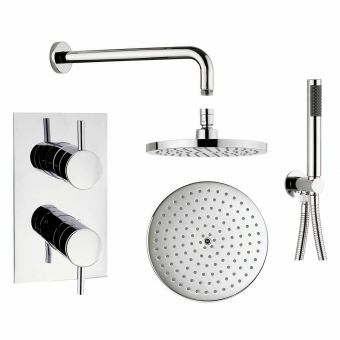 This shower kit pack from Hansgrohe offers convenience and flexibility, with 2 rail sizes, 650 or 900mm, and tow colour options: White or white and chrome. 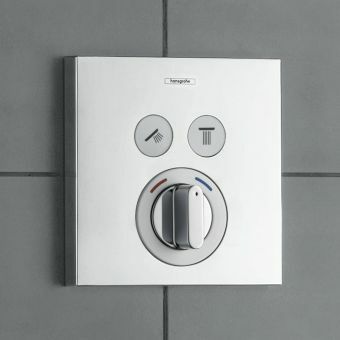 The finish refers to the glass colour of the safety-glass shelf on top of the exposed valve. 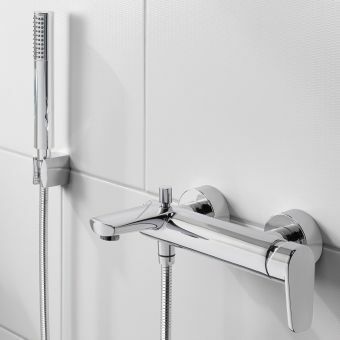 The chrome option has a clear glass shelf, allowing the gleaming chrome finish of the valve to come through, and white/chrome is still a chrome valve, but with an opaque white glass shelf. 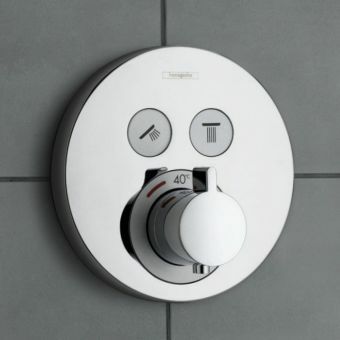 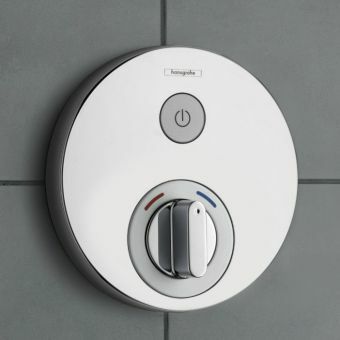 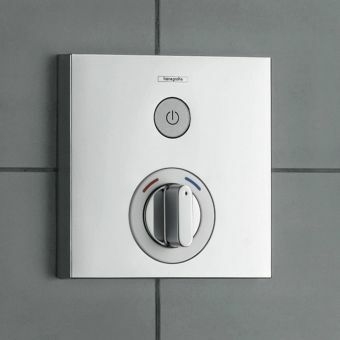 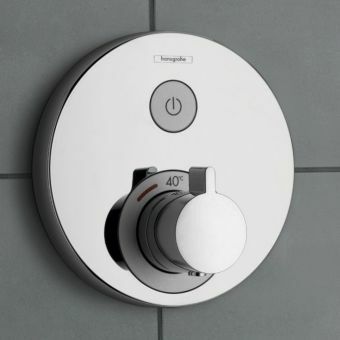 The ShowerTablet select valve features Hansgrohe’s Select button, which can be swapped for a different button design see the ShowerSelect Additional Buttons. 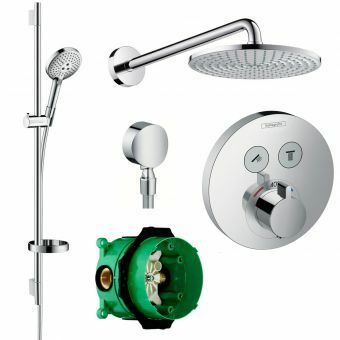 The valve requires a minimum of 1 bar of pressure and includes a dirt filter, exposed valves are much quicker to install and as all working parts are outside of the wall less concealed depth is required which can be much easier to adapt into a bathroom renovation with limited wall depth for example. 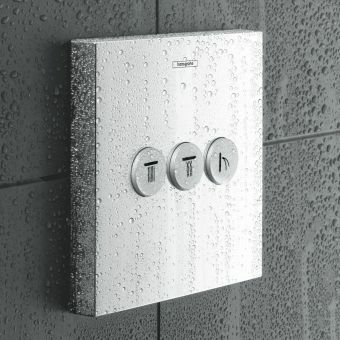 This kit melds the popular exposed ShowerTablet valve, with Hansgrohe’s latest PowderRain spray type shower rail kit. 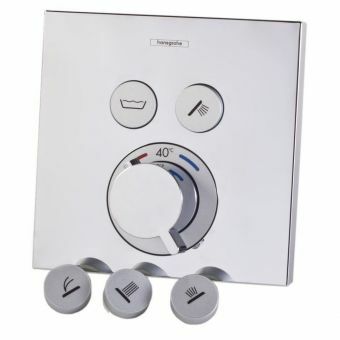 You are not limited to 1 spray type, as the handset included has 3 spray options: PowderRain, Rain and Whirl. 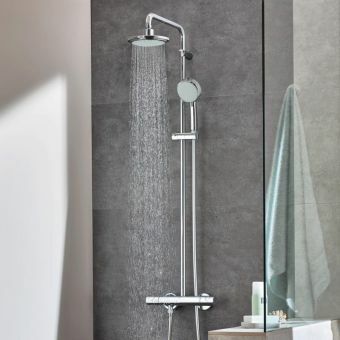 PowderRain is a gentle, relaxing yet effective spray suitable for both rinsing shampoo and relaxing muscles, especially developed in Hansgrohe’s development labs it offers a soothing new dimension to showering with smooth microdroplets. 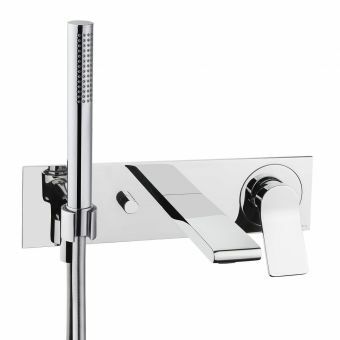 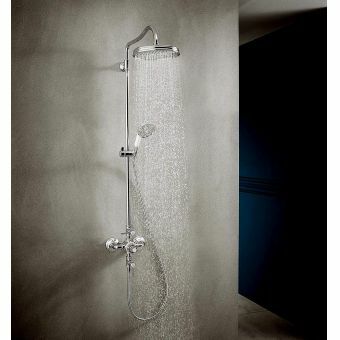 13171000 - ShowerTablet Select Thermostatic shower mixer 300 for exposed installation, chrome. 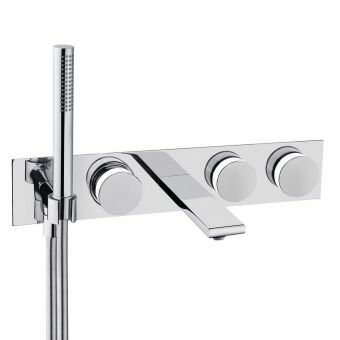 13171400 - ShowerTablet Select Thermostatic shower mixer 300 for exposed installation, white/chrome.